Chipchase Castle is a fine medieval tower house with Jacobean and later additions. The castle is still a family home although it is open to the public during the month of June. The castle is set in beautiful surroundings in the North Tyne valley, and three acres of gardens are open throughout the summer. In the walled kitchen garden, Chipchase Nursery Garden specialises in unusual hardy plants. Although the precise date of construction of Chipchase Castle is unknown, the tower of Chipchase Castle was definitely extant in 1415. By 1541 a house had been added to the tower, but it was not until 1621 that the addition of the Jacobean manor (no exterior sign of which remains, thanks to later alteration) completed the construction of Chipchase Castle. 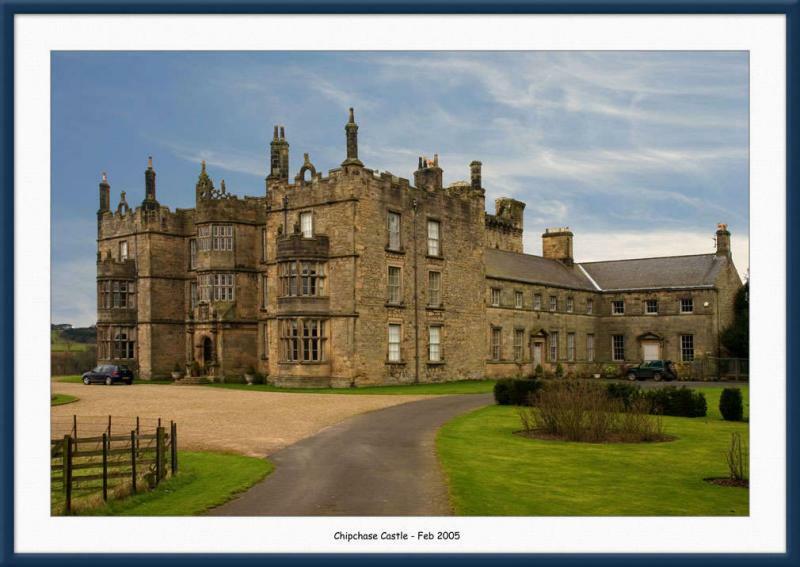 Both Chipchase Castle, and the 18th century Lee Hall, near Bellingham, claim the story of �The Long Pack.� The castle, or the hall, had been left in the charge of a maidservant, a man, and a young manservant. They were visited late one night by a peddler who asked permission to leave his heavy pack there overnight while he found a night�s lodgings nearby. He would collect it in the morning. Permission was given but when the man had gone, the girl's curiosity got the better of her and she approached the pack. To her horror she saw it move. She called the young manservant, who fired an old military gun at the pack and blood oozed out of the bullet holes. Meanwhile, the robber�s confederates, confident of success, approached the castle but they were greeted with a volley of gunfire that killed four of the robbers. Now, near the east end of Bellingham Church is an odd tombstone known as "The Long Pack� that is said to mark the grave of the robber. Some say there is not a body beneath the stone. The mystery lies buried in the grave. 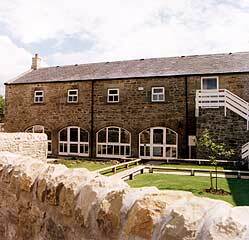 Haughton Castle lies across the river North Tyne from Barrasford, close to the village of Humshaugh. The beautiful exterior hides a bloody past.